The Enemy Satan Is Real! 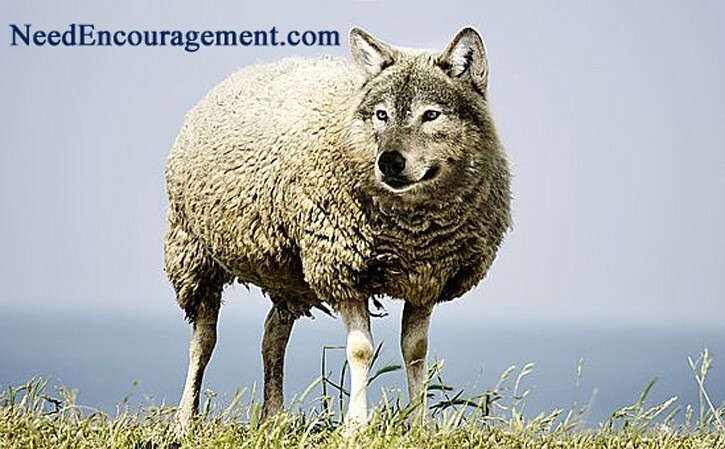 Be on guard, because Satan is real and is dressed in sheep’s clothing. Satan was not only at the time of Jesus Christ; Satan is in our modern society. James 4:7 Submit yourself, then, to God. Resist the devil, and he will flee from you. Here are some encouraging scriptures about Satan. Seven Facts About Satan You Might Not Know! Our Enemy Satan Seeks To Steal, Kill And Destroy! Watch this video that talks about Satan is real. Satan Is Real, And He Is Not A Laughing Matter! Satan is real, but has been defeated by God as you resist the devil and cling to God you will understand! 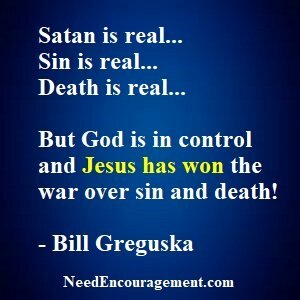 Yes, Satan Is Real, But He Has Been Defeated By God! The question is not how we are going to avoid or fight the devil, but instead it is how are we going to stand on firm ground? The answer to that question is if we are going to pray and stand firm, and walk with the Lord. When I was using drugs and alcohol, Satan was attacking me left and right, unfortunately, I did not have protection, so he was getting the better of me. It was not until I cried out to God to help me, that God came to my rescue and delivered me from the chains of my addictions. I learned first hand that Satan is real. Be alert and on guard. The enemy Satan is real, but when we cling to God and resist the devil, we will be safe. God will never leave us or forsake us; God has a plan for your life as well as my life. We need to call upon the Lord and resist the temptations of the evil one who would love for us to be destroyed! Have You Declared War With Satan? God vs. Satan – if God is all-powerful, why does He not just kill Satan? How, why, and when did Satan fall from heaven? Is Satan in hell? Where is Satan? What does Satan look like? What do demons look like? 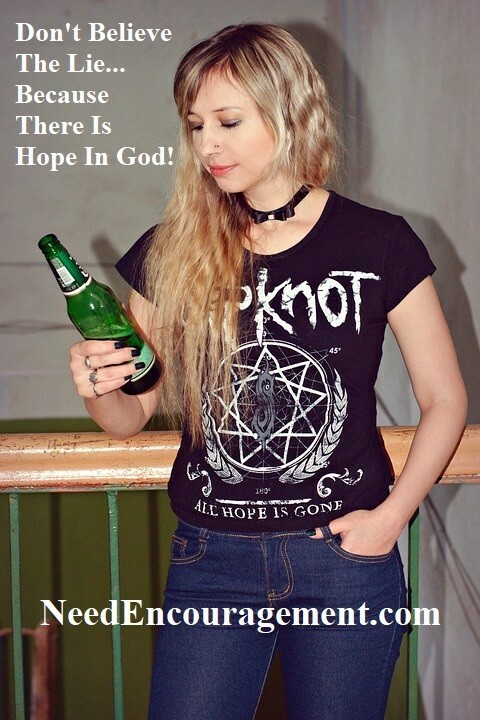 Satan Is Real, But Our Help Is With God! Satan Is Real And Is Out To Get You In Many Ways! Don’t think you can beat Satan on your own, Satan is real, but nothing compared to the power of God! You need God! Look Around, And You Can See Satan Is Real! Satan is the serpent, the Great Dragon, Beelzebul, the ruler of this world, the prince of the power of the air, the evil one, and the adversary. He is Satan. And if you are a follower of Jesus Christ, he hates you with a passion. As a roaring lion, he is, prowling about seeking to destroy you. How can you stand firm and resist the devil so that he will flee from you? First, do not be naive; you must consider his tactics and strategies. Tries to cripple your effectiveness through confusion, discouragement, and despair. 2 Corinthians 4:8-9. Blind the spiritual eyes of your unsaved family, and friends, so that they may not be able to see the glory of Jesus in the gospel. 2 Corinthians 4:4. Persecute you for your godliness. Revelation 2:10. End your life. Psalm 106:37; John 8:44. Tempt you to try to fool others to create an illusion to deceive others. Acts 5:3; John 8:44. May tempt you to do evil. Matthew 4:1; 1 Thessalonians 3:5. Corrupt your mind and steer you away from the pure gospel of Jesus Christ. 2 Corinthians 11:3. Hinder (cut in on, as in a running race) your gospel witness and steal it from unsuspecting hearts. 1 Thessalonians 2:18; Matthew 13:19. Wrestle with you, fighting against your walk with Jesus Christ. Ephesians 6:12. More Ways That Satan Is Real And Wants To Destroy Us! Try to tempt you to commit sexual immorality against your spouse as a result of neglecting the intimacy of the marriage bed. 1 Corinthians 7:5. Harass you with some form of physical affliction. 2 Corinthians 12:7. Keep your unsaved acquaintances in chained to sins which hinder them from coming to a knowledge of God. Galatians 4:8. May hit you with physical disease. Luke 13:16; Job 2:7. Promote (counterfeit Christians) within your assembly of believers to deceive and create disunity. Matthew 13:38-39; 2 Corinthians 11:13-15. Lead you toward theological compromise by causing you to be friendly to false doctrine and its teachers. 1 Timothy 4:1-3. Slander God to you to put doubt in your mind concerning God’s goodness and attempt to sabotage your faith. Genesis 3:4-5. He is at this moment prowling around seeking to capture and destroy you, mainly through pride. 1 Peter 5:6-8. Will most assuredly slander you before God in heaven. Revelation 12:10. May ask God for permission to sift you out for concentrated attack and temptation. Luke 22:31. Use the power of suggestion to move you away from the will of God. Matthew 16:21-23. You Can Resist The Devil So That He Will Flee? We must put on the armor of God, which includes the defensive weapons of truth, righteousness, gospel proclamation, faith, and salvation. We must also employ the offensive weapons of the sword of Scripture and prayer. Ephesians 6:11-18. These are the only means by which we may firmly stand against the devil. “Finally, my brethren, be strong in the Lord and in the power of His might.” Ephesians 6:12. We Trust You Find Hope And Encouragement From Our Links!